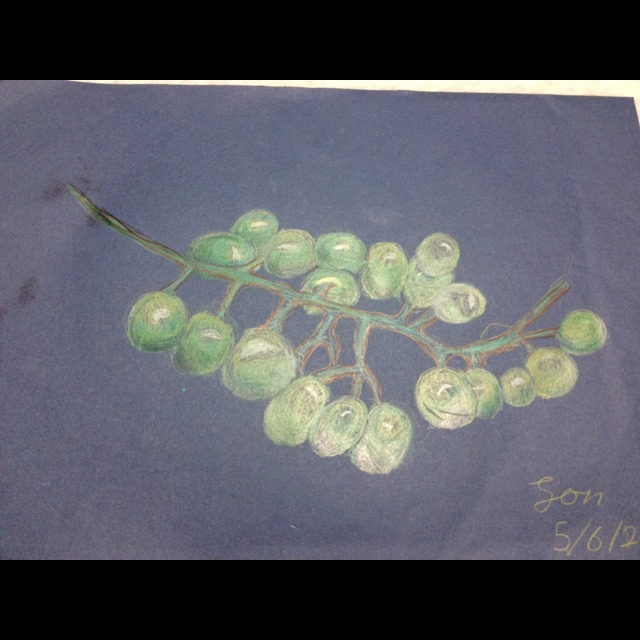 this is a great grape study Jon, well done I really like how you have captured the highligts and shade on each grape. Did you enjoy using pastels? I captured the highlights and shade by first adding yellow, then dark green to show where there is no light. I slowly added lighter shade of green in a circular pattern. Finally I added a hint of white to show where the lights were hitting the grapes. I don’t really like using chalk pastel because it gets all over my hands.